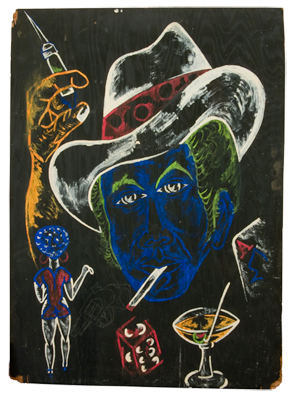 These two unsigned paintings on plywood were discovered many years ago, discarded by the management of a bar in an urban community in Cincinnati. 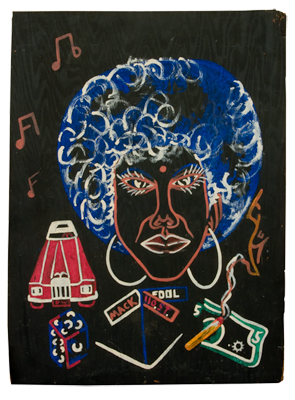 The paintings remind us of the James Brown song in which he describes "King Heroin." Do you think they dare defy me? I, who am king? And get away from drugs!